Canadian families are sliding into a childcare crevasse. From Victoria to Halifax, dual income families are scrambling to find childcare that suits their hectic schedules and doesn’t break the bank. With the exception of Quebec, there are no provincial or federal childcare options or subsidies that lessen the expense of childcare for middle income families. Queues for daycares, dayhomes, and preschools are on the rise in most urban centres and the costs of hiring in-home childcare has sharply risen since the federal government changed the way in which the Live-in Caregiver program operates. In late 2014, the Canadian government made sweeping changes to Canada’s Live-in Caregiver program. Aside from the name change to “Canada’s Caregiver Program,” the regulations that act as the foundation for the program have also been revamped. The federal government has called these changes “improvements” however Canadian families seeking live-in care have found the changes anything but. The purpose of these changes, according to the Government of Canada, was to bring down the backlog and processing times for Permanent Residence applications; end the live-in requirement for Caregivers who wished to apply to two new pathways to permanent residency, and; improve the long-term outcomes of Caregivers in the Canadian labor market. None of these changes however addressed the needs of Canadian families. By changing the Live-in Caregiver Program, the federal government effectively ended many families’ ability to find and afford live-in care. One change the federal government imposed involved raising the cost of what was formerly called the “Labor Market Opinion,” now known as the “Labor Market Impact Assessment (LMIA).” Any family hiring a Temporary Foreign Worker as a Caregiver is required to apply for an LMIA. From 1973 to 2013 there was no fee for the assessment, it then was raised to $275 in July 2013. In June 2014 the fee increased again, this time to $1000. This cost is carried by the family wishing to hire the Caregiver and there is no guarantee that the LMIA will be approved. Many on-line forums including a Toronto Moms and Nannies Facebook group is riddled with comments from families who’ve been refused LMIA approval. An Access to Information request for statistics on positive LMIA applications from Employment and Social Development Canada indicates that between January 1, 2015 and May 30th, 2015, 383 LMIA applications were processed, 305 of those were positive and 78 were rejected. Nearly 20% of all applying families were sent back to the start of the LMIA process. The most common reasons LMIA’s were denied were because the family failed to make sufficient efforts to hire Canadians / Permanent Residents or the quoted wages offered to the Caregivers were inconsistent with Canadian standards. These are reasonable excuses for denying applications, however for families desperate to find childcare, the system itself has proved itself challenging. The change which has had the biggest impact on Canadian families is that which ended the “live-in” requirement for Caregivers. The direct result of this change has been the difficulty (or near impossibility) for families to find Caregivers who want to live-in. It also means that because the cost of living is higher for those Caregivers living outside the home, they are rightfully demanding higher wages and in turn making in-home childcare unaffordable for many of the families that cannot live without it. Live-in Caregivers and nannies are not just for the rich and this is not an example of the wealthy crying foul. For families with children who have disabilities, families who live in rural areas, or families requiring infant care, often the only option for them is in-home care. Many dual income families depend on this type of childcare because of the fact that their work schedules are not conducive to the average daycare hours, not to mention the astronomical cost of placing more than one child in daycare (up to $1676/mth per child for infant care in Toronto according to the Parent Trap Study). Because most families in Canada have more than one child, daycare rates could potentially cost upwards of $3000 per month. At this rate, childcare is unaffordable for even the middle class. This is another reason why nannies, live-in caregivers and Au Pairs have become popular, especially for those who reside in the more expensive cities in Canada such as Toronto and Vancouver. Even if Canadian families were successful in lobbying for a national policy and sufficient funding to create a high quality early childhood education and care system across Canada, this would not resolve the need for many families who require care during non-standard hours. Police Officers, Firefighters, Paramedics, and Nurses are a few professions that come to mind when considering who might need round the clock childcare. So with all this to consider, what are the options for families in Canada now that the Caregiver program is riddled with red tape, daycares are unaffordable for more than one child and dual income families are struggling with non-standard work hours? Enter the Au Pair. Every year, hundreds of young people from abroad head to Canada to take on childcare opportunities with Canadian families. Utilizing reciprocal agreements that Canada has forged with approximately 30 other countries, mostly in Europe, the Canadian government’s youth mobility program is alive and well and encouraging work and travel across borders. Through the International Experience Canada program, young people acquire Working Holiday Visas enabling them to work and travel in Canada for period of between 12 – 24 months. Aside from completing the Visa application which includes a Criminal Record check component, anyone wishing to work with children must also pass a medical exam. With the appeal of having a job before they arrive in Canada, not to mention a roof over their heads and meals covered, becoming an Au Pair in Canada is incredibly appealing for many young women and even some young men. The “Au Pair” has arrived in Canada and the childcare model is being embraced by Canadian families with open arms. Au Pairs and potential host families find one another through on-line job matching sites and generally go through a series of email and Skype interviews before a mutual agreement is reached offering employment. Families look anywhere from 3-12 months in advance to secure their next Au Pair and many families try to tee up their hiring with the Working Holiday Visa release each year. Most Au Pairs stay with the same family from 6-12 months after which time they find another family to complete their stay in Canada or travel for the remainder of their Visa. Jane*, an Au Pair from Ireland, chose to come to Canada and work as an Au Pair after completing her degree from a large university in the UK. She chose to spend two years away from home so as to broaden her horizons, experience a new culture and create lasting relationships with her host family and new Canadian friends. She has not been disappointed and recommends the experience to others. Greta*, an Au Pair from Germany, spent her gap year between High School and University with a Canadian family in North Vancouver. She too had a memorable year in Canada and her English skills have enabled her to further her university education in business back home in Germany. She keeps in touch with her host family and the relationship they built is like that of extended family. There are also Canadian young women who choose to cross the country to work as Au Pairs. Lise* and Liliane* from Quebec, chose to come to BC to improve their English before taking on higher levels of education and more stable and secure employment. Both found the experience enriching and have returned to BC a few times since their Au Pair year in order to visit with their host families. 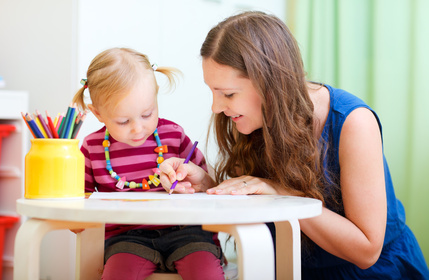 Au Pairs are expected to care for children and perform light housekeeping tasks for the family. Most Au Pairs are expected to work between 25 and 35 hours per week. The experience is more of a cultural exchange between Au Pair and host family and less like an employer/employee relationship. It is reasonable to consider an Au Pair like a big sister for the children or an extra set of hands around the home, assisting with chores and helping run the household when the parents are absent. 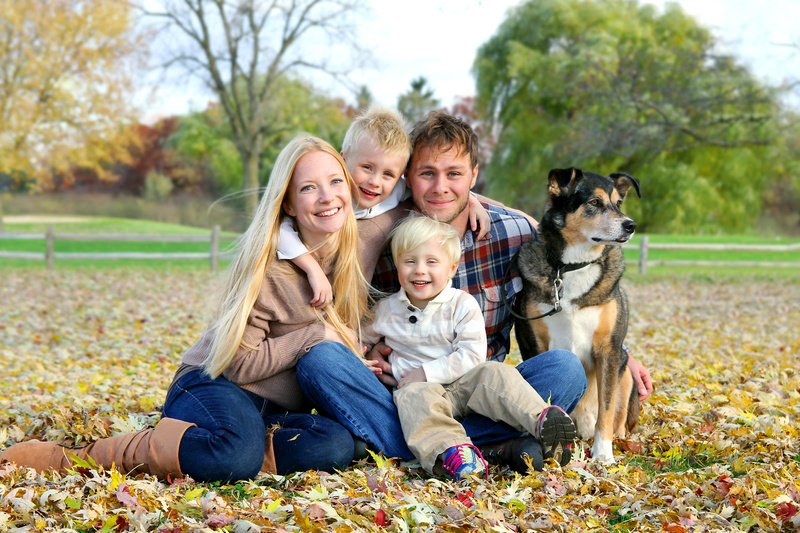 Au Pairs are invited to partake in family events and celebrations and truly become extended members of the family. For families, like the Fullers* and Barrys*, the Au Pair solution for childcare was a no-brainer. The Fullers, who had experience with the daycare model as well as Canada’s now defunct live-in caregiver program, were drawn to the Au Pair idea after learning about an acquaintance’s success with the option. The Fullers first Au Pair, Anna*, was from Germany and had education equivalent to Canada’s Early Childhood Education (ECE). Anna was a fantastic Au Pair who fit right in with the family and enjoyed spending her free time exploring, meeting new friends and taking part in everything Canada had to offer her. The Barrys, also a shift working family like the Fullers, saw the advantages of having live-in care with a cultural twist and jumped on the Au Pair bandwagon. Their first Au Pair was from France and was a great fit for their family. Both the Fullers and Barrys will continue to seek Au Pairs to assist with their busy households because the experience has mutual benefits for both the host family and the Au Pair. Despite not being your typical employer/employee relationship, host families are expected to follow provincial labor code and pay their Au Pairs accordingly. Au Pairs generally earn minimum wage, are offered perks such as use of the family car or given a transit pass and cell phone and are welcomed on family outings, excursions or foreign travel. The families remit income tax, EI and CPP to the government as they would for more traditional Caregivers. Unlike the new Caregiver program, Au Pairs are expected to live-in and can be deducted a small amount for room and board (this too is provincially legislated). All in all, hosting an Au Pair can be more affordable than hiring a Caregiver and has become a great childcare solution for many families. Since the changes came into effect at the end of 2014, nanny agencies in Canada have been scrambling to catch up with the Au Pair trend. After years of focussing their business on the Live-in Caregiver model and now experiencing the downturn in families seeking to use the Caregiver program, agencies are trying to navigate the Au Pair option. Canadian Au Pair Solutions is not an agency, but rather offers to assist Canadian families through the process of hosting an Au Pair by teaching them the ropes. The service Canadian Au Pair Solutions provides is available on-line, provides one-on-one support and walks families through the process so as to save the costs involved in hiring through an agency, which can cost upwards of $1000-$3000 dollars. Canadian Au Pair Solutions does not find Au Pairs for families as agencies do, but teaches families how to utilize on-line matching sites like Au Pair World, Great Au Pair or The Best Au Pair to locate suitable Au Pairs. Interest in the Au Pair option has steadily increased over the past year and Canadian Au Pair Solutions has seen a steady upswing in website traffic. The federal government has yet to break any ground in creating an official Au Pair program in Canada, so for now, through the International Experience Canada Program, Moms and Dads at least have another option in their search for childcare solutions that meet the needs of their families. Hi, i am looking for a host family/ employer in canada as au pair. I am from Philippines but I’ here in Netherlands now since Aug.2015. I am au pair here and my contract will end next year Aug.2016. Unfortunately citizens of the Philippines are not eligible to work as Au Pairs in Canada because they do not qualify for the International Experience Canada (IEC) program and the Working Holiday Visa. Your only option is to find a sponsor family and to come to Canada as a Foreign Worker under Canada’s Caregiver Program. We do not assist families with this process and suggest that you contact a nanny or caregiver agency for assistance. Good luck to you. Will Thai nationals be accepted in Canada as an Au pair? I would like to ask because it is very popular in USA and Europe,, there are 500 Thai National Youths travel to work as an AU pair in USA each year, and want an opportunity in be an AU pair here. Also, if that Thai National hold valid Open work permit- will that be acceptable to join Canada Au pair Program\? Thai Nationals do not qualify for a Working Holiday Visa as part of the International Experience Canada (IEC) program. This is how the majority of Au Pairs come to Canada. Thai citizens who wish to work in the childcare field in Canada should apply for a Work Visa via the Temporary Foreign Worker Program. This is much different that applying as an Au Pair. We do not provide advise for Temporary Foreign Workers and only assist families seeking Au Pairs under the IEC program.